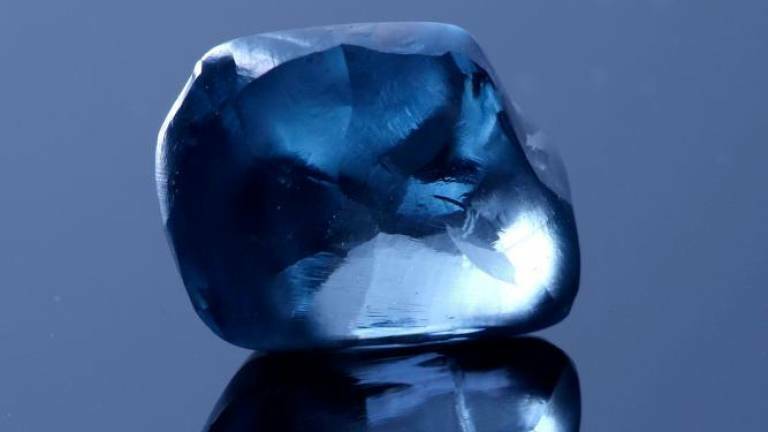 17 Apr 2019 / 20:01 H.
GABORONE, BOTSWANA: Botswana’s state-owned Okavango Diamond Company on Wednesday unveiled the biggest blue diamond ever discovered in the Southern Africa country. “It is incredibly unusual for a stone of this colour and nature to have come from Botswana — a once-in-lifetime find, which is about as rare as a star in the Milky Way,“ said Okavango Diamond Company managing director Marcus ter Haar. “It is little surprise blue diamonds are so sought after around the world as only a very small percentage of the world’s diamonds are classified as fancy colour,“ he added.